Christine Bleakley: The dancing with the stars presenter has been with Frank Lampard, England since 2009. They are currently engaged, the wedding is said to have been postponed due to the uncertainty of Frank’s future at Chelsea. Fanny Neguesha: The name might not sound familiar, but we are sure you will recognize her face as her boyfriend , Balotelli shows her off at every chance he gets. They win the award for most adorable couple. Irina is set to make her acting debut in Hercules, which would also feature Dwayne Johnson and Ian McShane. Shakira: The 37 year old Colombian dancer, singer, songwriter, former voice coach, record producer, model and philanthropist has been in a relationship with 27 year old Spanish defender Gerard Pique since 2010. The couple welcomed their first child in January 2013. 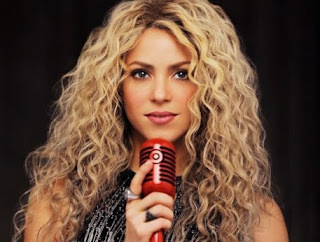 Did we forget to mention that Shakira speaks 3 languages, has sold 65million albums and won 2 Grammy awards, 8 latin Grammy awards, a total of 27MTV Award, 8 Billboard music awards amongst others. Oh, and her hips do not lie!!!! Is there any one we did not include? Do you agree that Shakira is the sexiest of them all, or are you a sucker for Russian model, Irina shayk?